On Wednesday, Oct. 12, Apple (s aapl) will release iOS 5 and iCloud for all users of its mobile devices and Macs. The arrival of this new software could lead to big changes in the way you use your Apple hardware, and big changes call for preparation. Here’s how to get your iPhone, iPods, iPads and Mac ready for the big day. The first step to getting ready for any major software update is to make sure you have a backup in place in case things go wrong. For your iOS devices, this currently means backing up via iTunes. To perform an iTunes backup (which preserves things such as your message and call history, address book, web history and app settings), simply connect your device to your computer via a USB-to-dock connector cable, and hit the “Sync” button. The first step to a sync operation should be a backup. 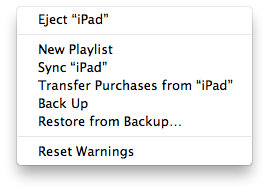 If you don’t have your device set up backup automatically with each sync, or if you just want to be double-sure, find your device’s name in the iTunes sidebar on the right, right-click it, and choose “Backup” from the context menu that appears. You can do this any time, but I suggest making a backup this evening and then one again just prior to updating to iOS 5 tomorrow to ensure you have at least one clean version to restore from. This could be your last time backing up to iTunes ever, since iCloud now allows you to store backups on Apple’s servers, which can then be used for remote restore operations. You can restore your iPad completely using the backup you created above, but there’s another option that’s arguably a better one for major OS updates like iOS 5: a complete wipe and start from scratch. For an iPhone, note that this will mean losing any and all stored Message and phone call information. On both iPads and iPhones, this will mean a complete wipe of email accounts, installed apps, etc. Note also that if you don’t store your contacts on Gmail, MobileMe or your computer, they’ll be lost if you do a completely clean install without restoring from backup. It’s a lot of work, but it will ensure that the software update goes as smoothly as possible. Also, sometimes it can be a blessing in disguise to have to start from scratch; you’ll dump apps you’re no longer using regularly, for instance. iCloud will arrive for the Mac with an update to OS X Lion. That means it’s a good idea to back up your Mac, too. Ideally, do this after backing up your iOS devices so that it backs up those backups as well. To make a back up using Time Machine, attach a hard drive you’re willing to commit to the purpose to your computer via USB or FireWire. 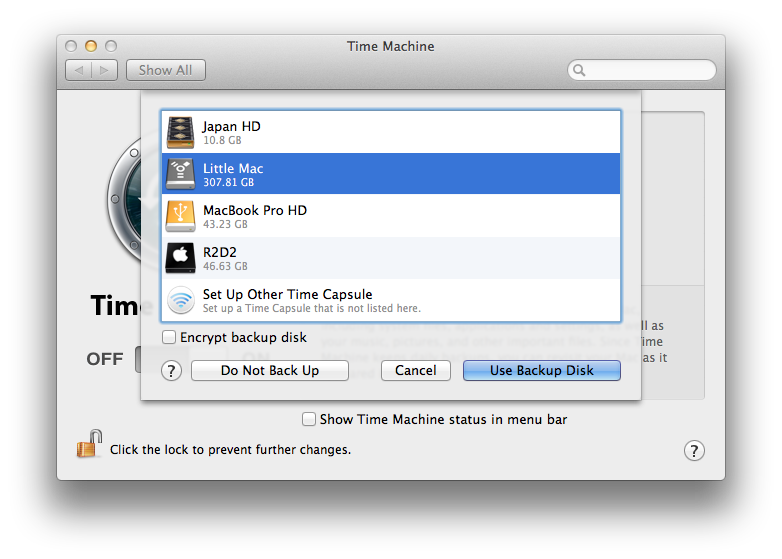 OS X should prompt you to use it as a Time Machine device, so follow the instructions that appear. With the arrival of iCloud, every iOS and Mac owner will be able to keep their contacts, calendars, reminders, bookmarks and notes synced across Apple computers and portable devices for free. If you haven’t previously used a cloud syncing solution (like MobileMe or Google(s goog)), then you’ll need to choose one source as the original, or “master” from which all other devices will take their content. 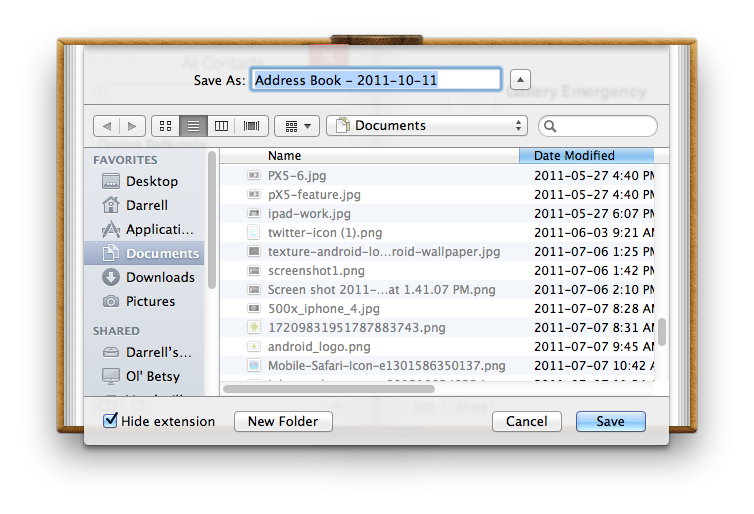 Creating an Address Book archive on OS X is one way to backup your contacts. Pick the Mac, iPhone, iPad or iPod touch with the most complete information of any of your devices, and fill in any gaps where necessary. When you activate iCloud tomorrow, you’ll use that device to populate iCloud. Then, on any other device you connect to your account, you can either “Replace information on this [device]” with info from iCloud, or “Merge information” to make sure you get the most complete and accurate data set on every Mac or iOS gadget you own. Make sure that you back up your contacts and calendars especially to a separate file (or via an iTunes backup) in case you make any mistakes during this process. Apple released iTunes 10.5 today, which is a wise move since their servers will likely be stressed when iOS 5 is released for download. That means you should play it smart, too, and go grab 10.5 ahead of tomorrow’s launch. That way, you’ll be one step closer to installing iOS 5 on all your compatible devices and getting iCloud up and running to its full capacity. That’s what we suggest you do ahead of tomorrow’s launch. We’ve heard it could go live at midnight PDT, or at around 10 a.m. PDT as with previous iOS version launches. Either way, the sooner you’re ready, the faster you can get iOS 5 and iCloud up and running on your devices. Do I have to buy OSX LION before OS5 or do they all come together? They do not come together, IOS5 is for your phone, OSX Lion is for your MAC, 2 totally different things. On your MAC, you cannot use any of the iCloud features without OS X Lion. I have seen some summaries that iCloud supports a certain number of music files, and other that it is based on space. I have a bunch of audio books, some that have a track for every minute of audio per disc, others that had 5 minute chunks. Should I try to merge tracks to make one long audio track per disc and save against using up against a file limit, or is it useless as the limit is based on storage space? I am not sure if any audio books will sync to the iCloud as I often had to rename them and make my own playlists. I have about 25 unabridged audio books that I like enough to keep digitally available, maybe 300 cds worth. Starting from scratch is ridiculous. Why? I agree if all of your content is stored on your device, but for those with info backed up in the cloud or on Macs, what’s so bad about a fresh start? I don’t think it’s a question of “what’s so badâ€¦” rather, I believe it’s a question of “why do it?” The benefits of a clean install on an older computer system with a mechanical hard drive are very apparent. I’ve seen no evidence that iOS suffers the same problems which would encourage or require a clean install. Agreed. A lot of these suggestions don’t make any sense either. This isn’t Apple’s first upgrade. You’d think these bloggers would have at least a bit of knowledge on the subject. Why is starting from scratch “arguably better”? Are there ANY benefits to it? If its quicker than a simple upgrade it might be better. I’m 90 mins in so far and its still restoring apps, music and videos.